The weather is finally gorgeous, sometimes a little deceivingly chilly or humid than we'd like. 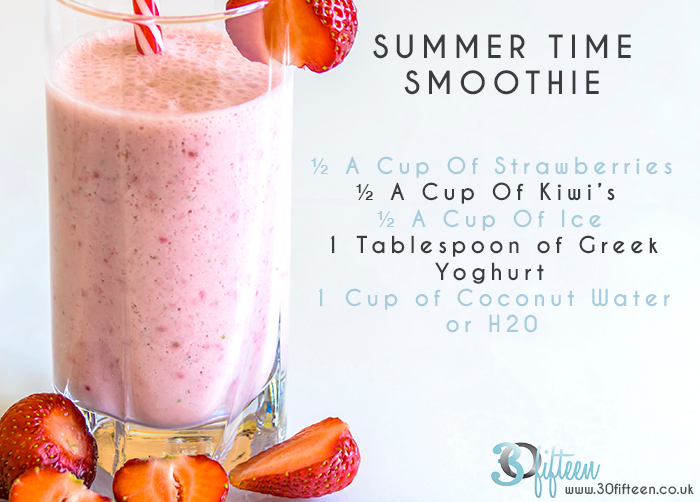 Yet, nonetheless it's definitely Summer and what better way to enjoy it than to create a smoothie to quench your thirst and fuel your body. What's in our simple Summer Smoothie? It's strawberry season, so they taste especially good right now! What's your go to Summer Smoothie? Share it with us!